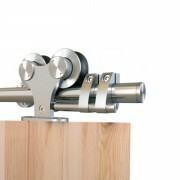 The stainless steel barn door kit is a whimsically offbeat take on traditional stainless steel sliding door hardware. 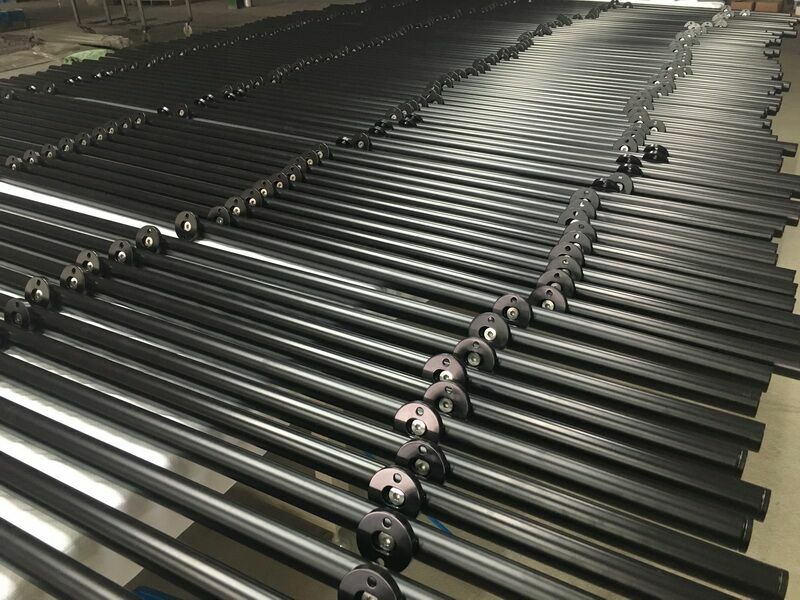 It has a beautiful and lisse black coated. 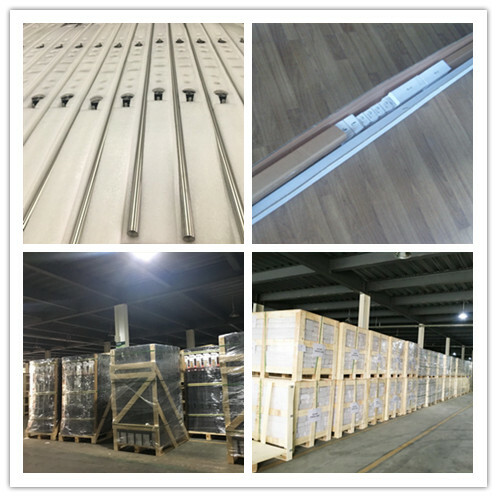 Application: Widely used on Commercial, residential and apartment. 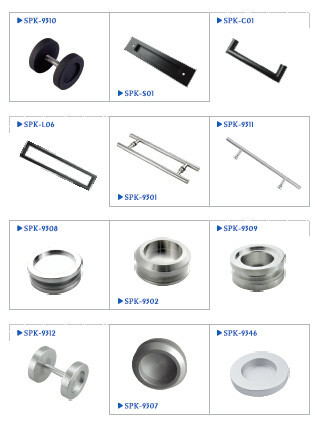 Our products are with perfect finish, no scratchand no wear. 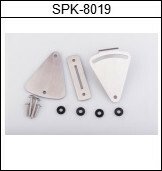 Specialized designers could meet any of your requirements and reduce your cost. 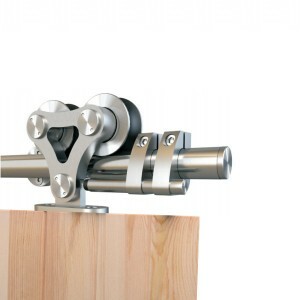 Notes: wall mounts, door stop and floor guide can be changed into other style as your request. 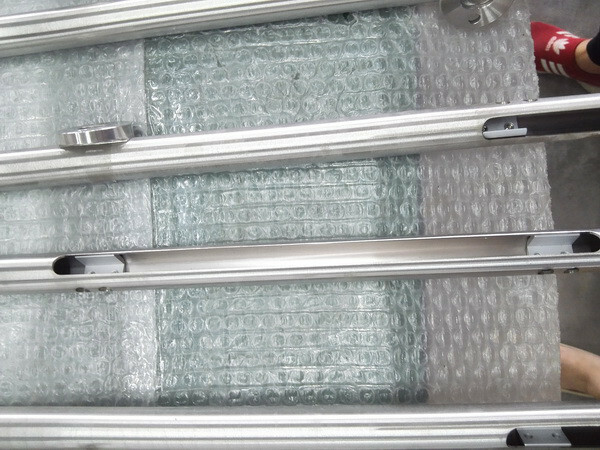 Soft-closer is pre-installed inside the track. 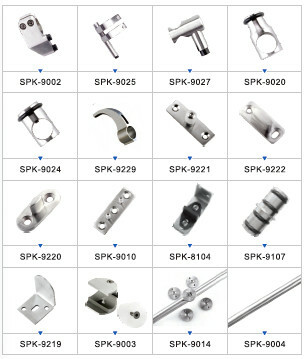 All the stainless steel barn door hardware could be painted black. 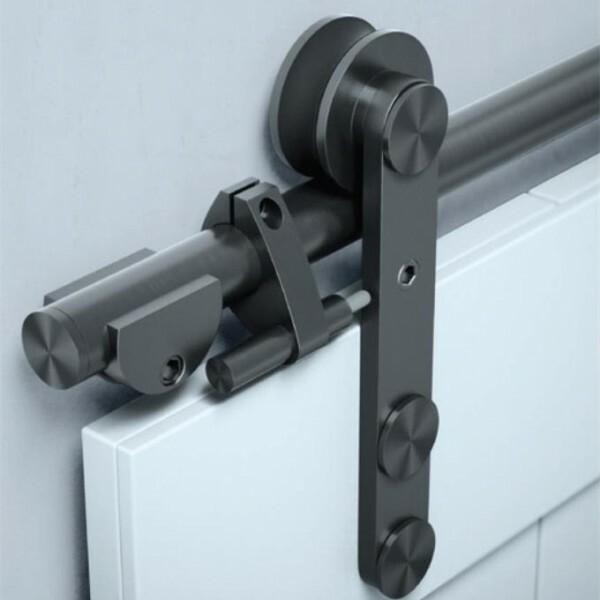 From the glassy-smooth ball-bearing action of the rollers to the heavy, solid extruded track, the quality and careful workmanship of this sliding door rail system is clearly apparent, and will nicely complement the quality of the door you select or build. 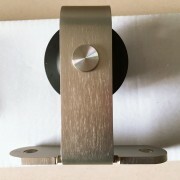 This barn sliding door hardware is the face mount style. Its appearance is made up of multiple circles. Such a structure makes the whole system more elaborate and more secure. 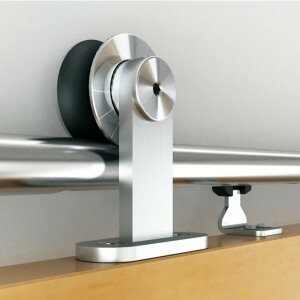 The sliding barn door track system is a whimsically offbeat take on traditional stainless steel sliding door hardware. The brushed coated hangers of it form a distinctive Y shape that provide a elegant yet chic finish to your door hardware. 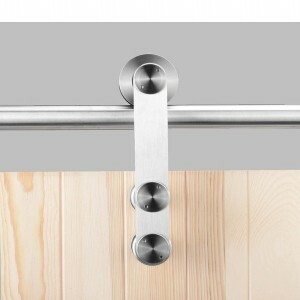 The bypass sliding door hardware has quiet and smooth rolling wheels that are made by high quality stainless steel. 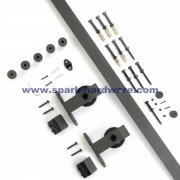 It includes all of the parts and fasteners that are required for one rolling barn door with a round rail. 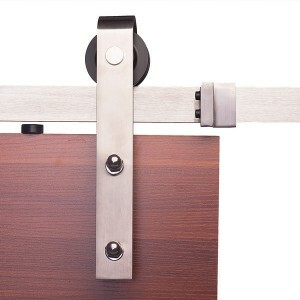 This sliding wooden door hardware is the classic top style. Its smooth surface makes the whole system look elegant and practical. The wall mount sliding door hardware is a perfect combination of simplicity and elegance. 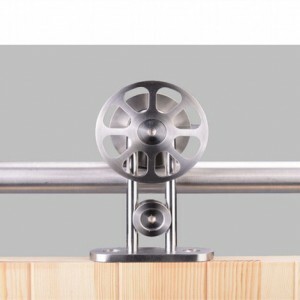 It features the seem stainless steel construction and whisper quiet nylon rollers. 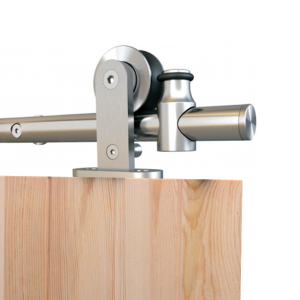 It is designed to work with sliding wooden doors, up to 150KGS. 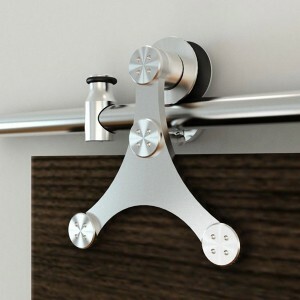 The barn door hardware for homes can be used on wood doors and can be used on doors. 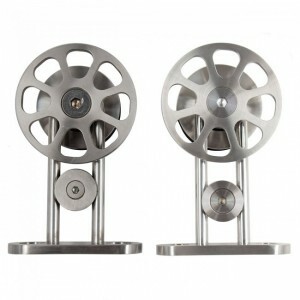 It’s rolling stainless steel wheel will provide durability and aesthetics with a more modern look. 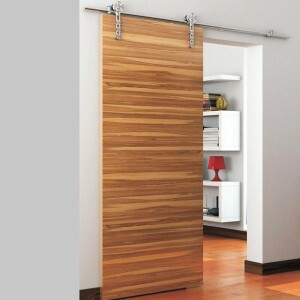 The appearance of this sliding barnwood door hardware is triangular. 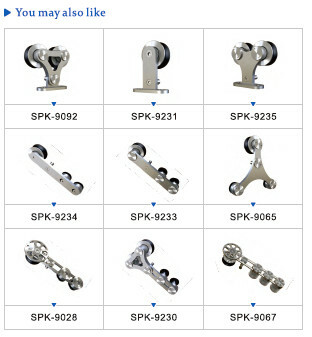 The triangular structure has great stability and can make the whole system bearing capacity better. And it makes the sliding operation more stable. 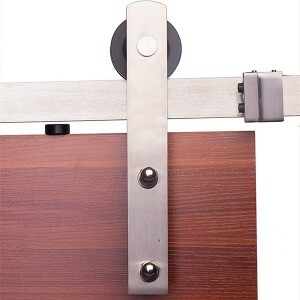 This decorative barn door hardware features a unique hanger and strap design that harken back to more traditional styles of barn door hardware while also encapsulating the beauty of stainless steel sliding door hardware. 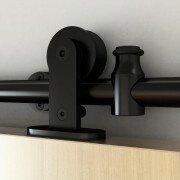 The sliding barn door closet hardware is the newest top mount style. It is designed to bring lasting beauty into your house.The stainless steel hangers are coated in high quality nylon that ensures whisper quite movements.